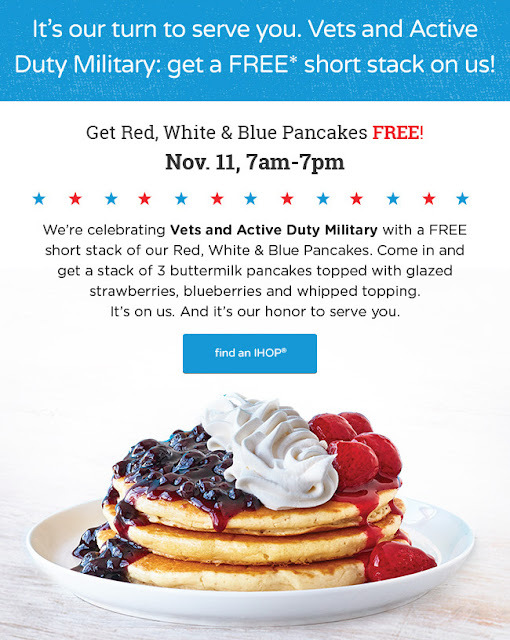 *EXPIRED* IHOP - FREE Short Stack of Red, White & Blue Pancakes for Veterans! Veterans and Active Military get a FREE Short Stack of Red, White & Blue Pancakes from IHOP on Veterans Day, November 11th. from 7am - 7pm. You'll get 3 buttermilk pancakes topped with glazed strawberries, blueberries and whipped topping. 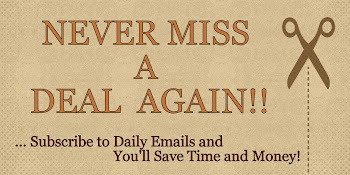 *Offer only valid for Veterans and Active Duty Military. Available at participating restaurants only. Military ID or proof of servie is required. Some restrictions may apply. See store for complete details.